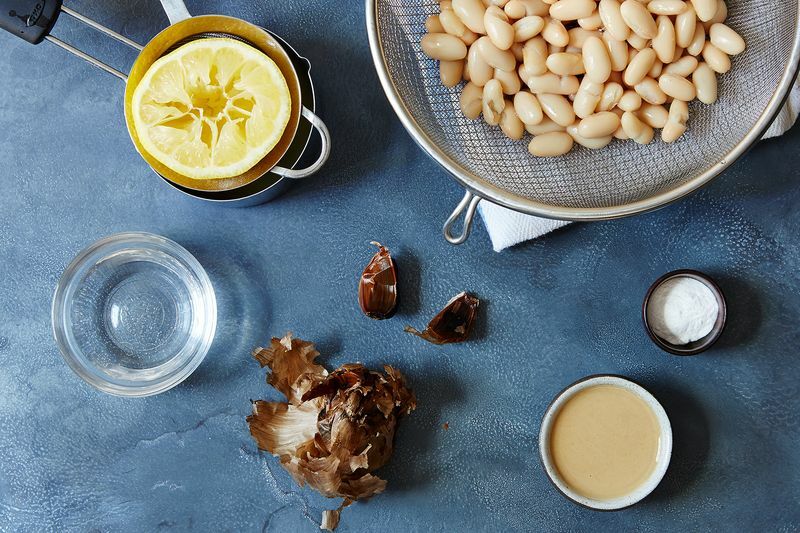 Is It Worth It to Soak Dried Beans? Soaking dry beans, for many, is a given. It cuts down on cooking time and, as the Bean Institute will have you know, breaks down flatulence-causing compounds. Plus, although there are a variety of methods, it is a relatively straightforward process: soak, discard soaking water, then cook. Not so, says Molly Wizenberg of Orangette; after many failures, she finally found a soaking/cooking method that turned her into a bean-soaking believer. 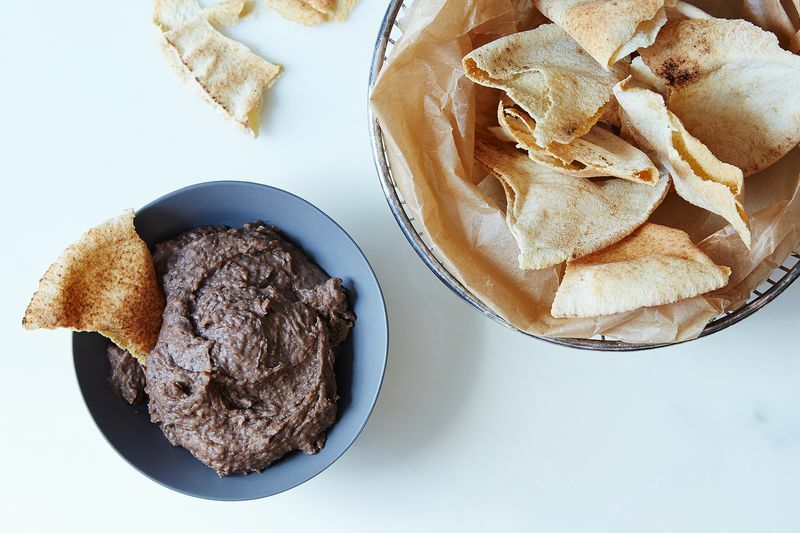 She soaks dried beans for 24 hours and then uses John Thorne's cooking method. Rather than discarding the soaking water, the beans are strained and seasoned while the soaking water is boiled; the boiling soaking water is poured over the beans, which are then cooked in an oven rather than on a stovetop. Russ Parsons and J. Kenji López-Alt, on the other hand, are anti-soaking. One seems to have converted the other, at least as far as black beans go. And according to López-Alt's experiments (in which he tested out soaked, unsoaked, and Weizenberg's favored cooked-in-soak-water beans), the difference between cooking time was a mere twenty minutes. The key here, though, is that he found unsoaked beans to be packed with flavor while the soaked beans tasted watered down (pun fully intended). And it's worth noting that Parsons has firmly held his anti-soaking stance for over twenty years. Verdict: Not Worth It—It's not worth compromising flavor or taking the effort to prepare an overnight soak if the difference between cooking time is under thirty minutes. How do you feel about soaking beans? Is it really that much of a time saver? Do you find that beans just don't taste as good? Does it depend on the bean? Tell us about your adventures in bean soaking! I cook a lot of beans, always from dried. There's a huge difference in cooking times for dried beans depending on whether you ordered them from Rancho Gordo -- which may have been harvested and dried last month and will cook quickly -- or are using beans in the dusty plastic bags in your supermarket, which may soak overnight and still require 3+ hours to cook, whether stovetop or in the oven. In other words, in my experience, it's impossible to generalize about soaking/cooking times for "dried beans." Exactly. And quite frankly after using Rancho Gordo for years, have never considered using any other brand. Nothing else comes close. I posted a serious query regarding the toxicity of dried beans. I have been cooking dried beans for over 50 years using my mother's old method of sorting out any little clods of dirt or rocks, soaking overnight, then boiling for a couple of hours before proceeding, so I think I have a fair handle on how to cook my beans. Only recently, have I omitted the overnight soak and was tempted to try a "slow cooker" recipe that a friend sent me, when by pure accident, did I come across the article at this link http://wildoats.com/blog-posts/undercooked-beans-dangerous/ I was merely attempting to get an informed and independent take on the "facts" as presented. I do not wish to poison my family or friends by failing to get my beans to a temperature that will render the toxins harmless. Better to be safe than sorry. I found nothing definitive. Be aware that raw kidney beans contain a toxin called phytohemagglutinin, which is destroyed by boiling the beans for at least 10 minutes prior to slow cooking. Therefore, kidney beans cannot be enjoyed in their raw, sprouted form (as some other beans are). If you are going to slow cook them at a more moderate temperature please remember to boil them first for the required 10 minutes. So, as long as kidney beans are boiled for 10 minutes, they can be slow cooked and harmless. Sorry this response is so late! I've cooked beans every which way for the last 25 years, and I find them all to get good results. By far the easiest method is the slow cooker--just toss everything in, turn it on and forget it! This is what I do when I have lots of other tasks at hand and can't babysit a pot on the stove. That being said, sometimes I enjoy the meditative state achieved by watching the pot, being more in tune with the beans as they cook, adding more water or a seasoning of some sort. It just depends on my day. As for soaking, in my experience, it lessens the cooking time significantly, especially with bigger or harder beans like cannellini or chickpeas. That is, of course, if I remember the night before! Lastly, as far as flatulence is concerned, it is my understanding that when we consume beans with regularity, our bodies can more easily digest the long-chain sugars which reside in all legumes, so I say eat beans every day! I have cooked pinto beans every two weeks for the last 40 years. I never soak the beans and they come out creamy with no flatlance problem. I have read several articles, recently, regarding slow cooking of beans that caution us to make certain that our beans boil for at least 15 minutes to release harmful toxins in the beans that can make us very ill and perhaps even kill us. I would like a verification of this, especially in light of my age and the authors' avowal that small and old adults are most at risk. Thank you for your assistance! My mom taught me to soak beans and I used to cook the beans in the soaking water. I don't do that anymore, I throw out the soaking water and rinse the beans several times to slow down the amount of gas that you can produce after you eat them. I was taught by mom to always soak the beans overnight. I found out on my own to throw the soaking water out because you won't have a lot of gas when you eat them. I'm starting to think I should slow-cooker cook my dried beans from now on? I've never had success with soaking and feel really silly about it. How is this hard? I've been using my slow cooker for cooking my dried beans since I read deb perelman's note in her smitten kitchen book. And if that's good enough for her AND kanji, it's good enough for me. I make big batches and freeze whatever is left. So much better and less expensive than canned. Plus you can add the seasoning that YOU like. It's so easy you'll never do it any other way. Far less chance of ending up with mushy, overcooked beans too. I prefer to cook dried beans, without pre-soaking, in a slow cooker (3 to 3.5 hours on high, but each slow cooker is different). This achieves the optimal slow and low cooking, with no attention on my part. I've always done a full soak, but recently started doing a full brine soak. What a difference! Flavourful, creamy beans that don't fall apart! Especially noticeable when making hummus. Me too. My beans don't fall apart now with the brine soak. Mine always are as hard as bullets, soaked or not. Tried not adding salt until the end as well and the pressure cooker method. What's everyone's best recipe for good baked beans on gas cooker/oven? Don't use anything acidic until the beans are fully cooked. When making chili, don't add the tomatoes until the beans are perfect. One way of cooking beans that I've been using for a long time (learned it from Fine Cooking) is to boil the dry beans (no soaking), turn the fire off, cover the pot and let sit for 30-45 minutes. Works every time. Why not used canned beans? Easier, flavorful. Am I missing something? Some canned beans are excellent. One plus is that they generally produce less flatulence than beans cooked from dried. However, in my location I can't buy BPA-free cans, so I always cook from dried. I also like the variety of beans I can cook using dried, and the value I get by purchasing via the internet. For the last year, I've been using my Instant Pot to cook soaked beans, and it's divine: always perfect beans, perfect texture in minutes. Although, according to Cooks - you're better off buying certain brands of canned beans. Soaking beans gets rid of the phytic acid. My mother cooked her pinto beans in a pressure cooker, but didn't use that method for dried blackeyed peas because the skins all fell off and made an ugly mess. I always soak beans for 12 hours, adding 1/2 tsp ground ginger to the soaking water to relieve the flatulence problem. Simmer and add boiling water as needed. Add a bit of sugar from the start but add salt late in cooking to ensure tender beans. Learned this from a man who was a Navy cook on ships for years. Always soaked mine, but now I won't!